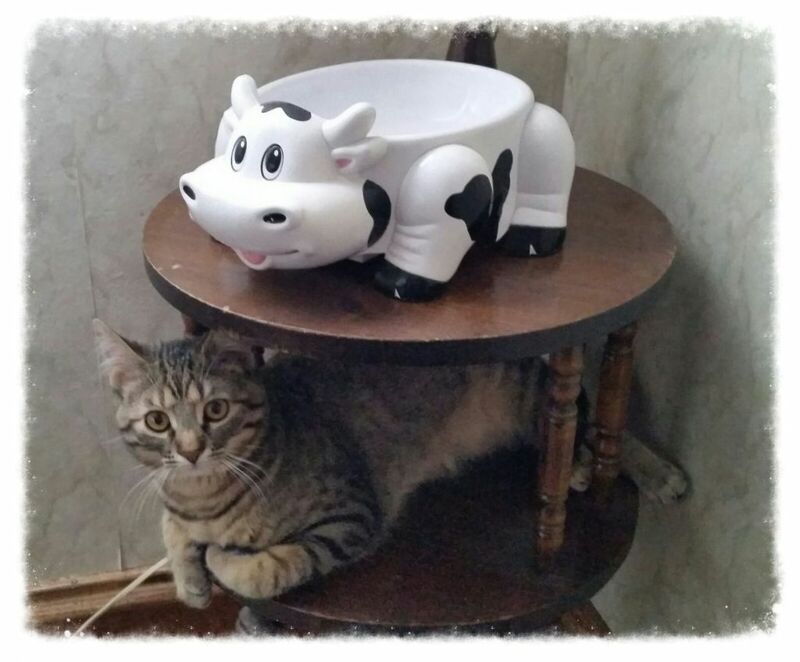 Home » Animals » Rescue and Adopt a Pet! Want a pet cat or dog? Why not adopt one? There are many animals at your local shelters hoping to be rescued and adopted out to good homes. 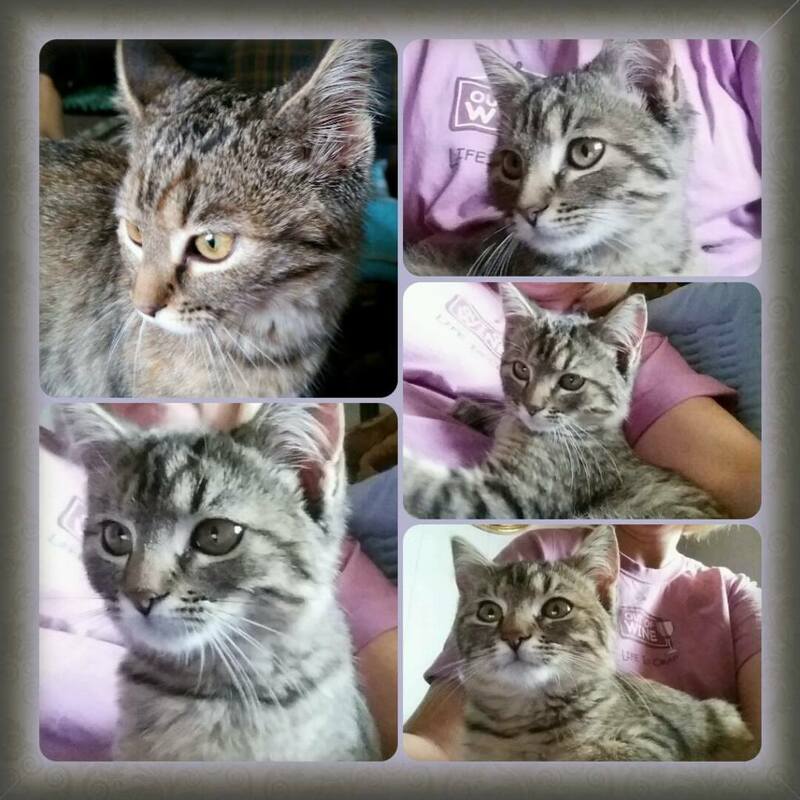 Back in September 2014 we took in a lost girl tabby kitty. It was friendly, adorable and cuddly. She wasn’t afraid of you at all. The day we took her in she was found near the shelter hanging out in a tree. The shelter was not open so wasn’t sure if she’d been dropped off or just lost. At any rate she was young and we didn’t want to just leave her outside on her own. So we took her home. She was so friendly and cuddly I really wanted to keep her but we felt we should contact the radio station to see if anyone lost her. Sure enough after a few days we got a call. I had the caller describe her which the description fit. She came along with her kids to have a look at her. She belonged to this family. I found out that her name was Blackberry. I was sad to see her go but happy. Sad because we really wanted to keep her but happy her family came to claim her. I’m glad that we were able to take her in. I’d never wanted a pet in the house before. Why not you may ask is because of the way I grew up with no pets in the home only outside or in the barn. As time has aged with me getting a bit older not that I am old; I’ve changed my mind about have a pet in the house. Especially after taking in Blackberry I for sure changed my mind. Another reason I think I changed about wanting a pet is that my boys are grown up now and not living at home anymore. It’s nice to have some companionship such as a pet to keep you company even though that is what your other half is supposed to do. A pet is just different and soothing to your soul. A few weeks later after taking in Blackberry my fiancée and I went to the Rusk County Animal Shelter where we live at. They had a bunch of kitties with different ages to choose from. I had decided I wanted a tabby, small, younger, a girl and friendly kitty. Not one with a big yapper either since we heard one that was so loud. So they choose this grey quiet tabby for us to check out. She was similar looking like Blackberry but with a light colored nose and with brownish tones mixed in the gray/black fur colors. 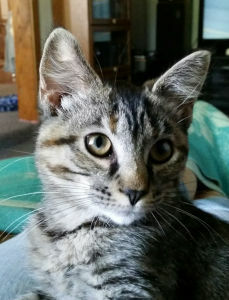 Almost like a Torbie the shelter said. As soon as I held her I knew she was the one. She was 3 ½ months old which a nice young age to get her for training how we wanted. We talked it over and decided to get her. Then the shelter went through the procedures of getting us ready to take home. They got the papers ready plus any other shots she needs. We were asked if wanted her chipped in case she got lost from us. It was free to do with them so we said yes. The chip is located on the top part of her neck. I then signed the papers and she was ours to take home. It’s amazing how many animals are just left wherever, taken to the nearest animal shelter or even just picked up others. Jazzy was found at a Walmart parking lot here in my town. The shelter had her for a month until we came along and took her into our home. She was quiet and timid at first. The shelter named her Sonya but I didn’t care for it. We renamed her Jazzy instead to which she now knows her new name. She doesn’t take to strangers right off the bat. I suspect it’s due to where she came from. You really don’t know for sure how your pet will be when you get it home. You don’t know what they went through from where they came from but as time goes by you see and learn how they are and in return they learn you. It takes time to adapt to each other. That’s how it has been with our Jazzy. We’ve now had her 5 months and she is about 8 ½ months now. She has adapted well with us and has gotten to know our home. We’ve gotten use to her personality and how she is. We’re very happy that we’ve adopted Jazzy. She is fun and keeps us on our toes. Adopting a pet is rewarding. It means you have rescued and saved a life that someone else has abandoned. That’s what we did! You did the right thing for Blackberry kitty and again by adopting a shelter cat of your own. Jazzy will forever be grateful for her new home and all the love she receives. Awesome! Happy news that she has a home now. Adopting a pet is such a good thing to do.